An arched, openwork rectangle for a body, a disk opening into the suspended mechanism for a face: Chronos has a new appearance. 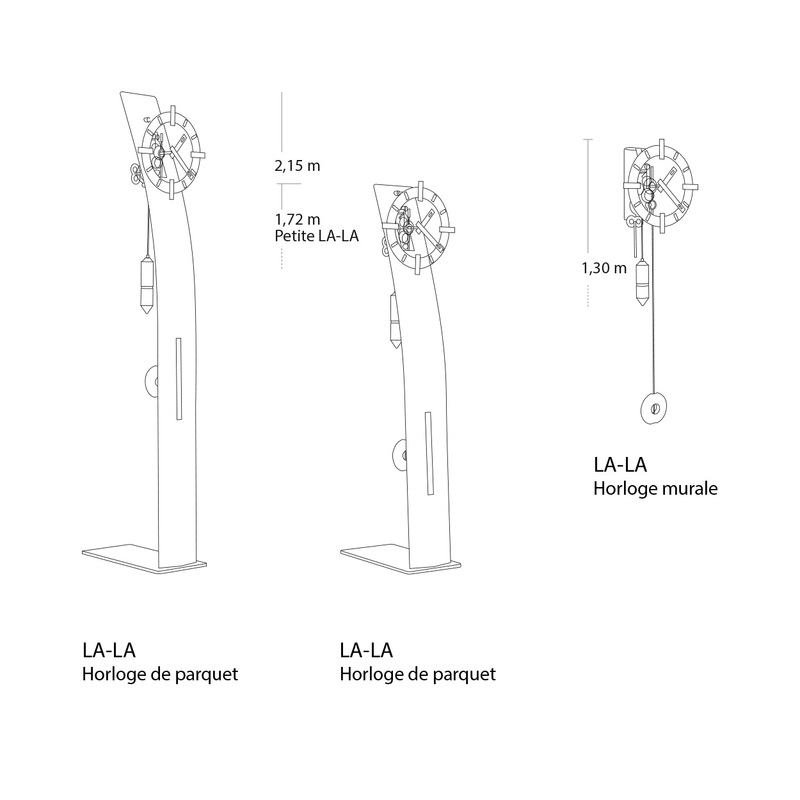 This streamlined series features a sleek line in brushed steel which might bring to mind the totems on display at the Primitive Arts Museum of Quai Branly. 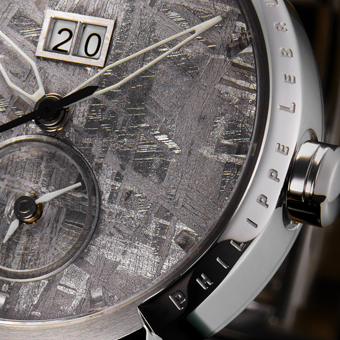 Simplicity and precision, or the art of bringing the longcase into the contemporary world! A minimalist design featuring straight lines to satisfy the need for simplicity by focusing on the essential. The LA-LA collection is perfectly adapted to modern architecture in the Le Corbusier style. 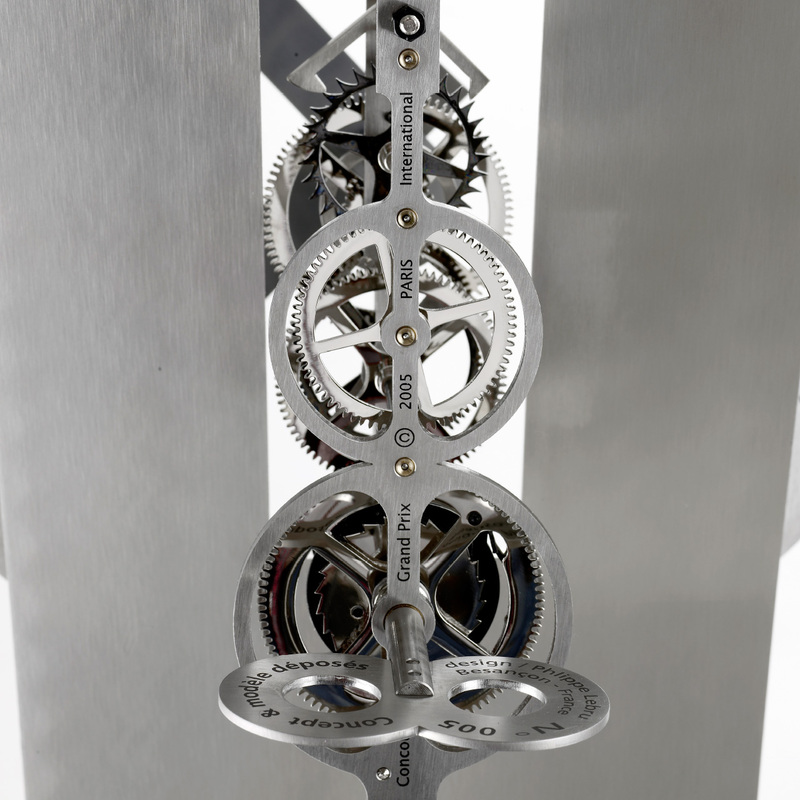 A clockwork object of art open to daydreams and the elsewhere: the wall-mounted version’s hands stroke the concept of mechanical landscape art. Time flows with the rotation of wheels and pinions, which are all swept along by a steel weight with a weightless appearance. 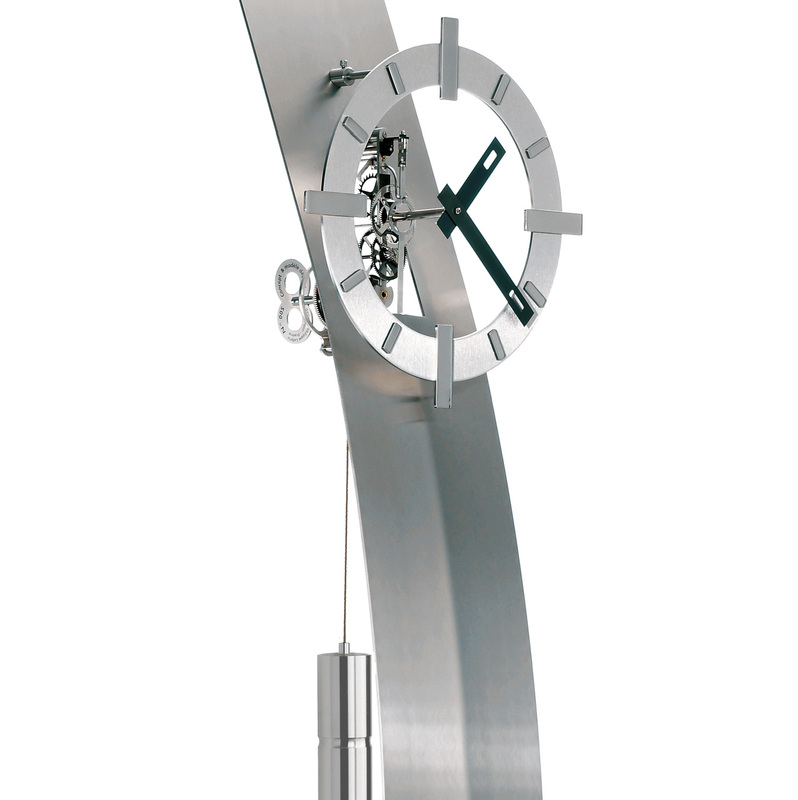 This gentle pendulum with an open heart caresses the seconds into hours. The hours of your day, from day to night and from movement to rest. Like a swinging star, appearing and reappearing but always at the end of the pendulum shaft, the lentil keeps time with a gentle rocking movement. In 2005, Philippe Lebru invented the self-balancing pendulum movement. 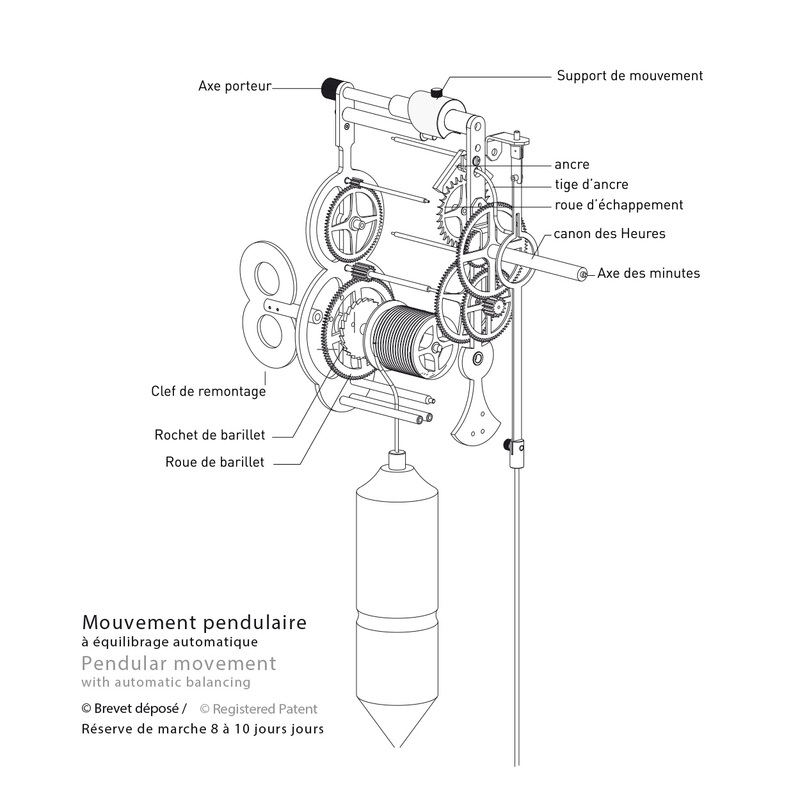 The invention was awarded the Grand Prix at the international Lépine competition in Paris and the Gold medal of clockmaking at the International Exhibition of Inventions in Geneva. At Utinam, the seconds are marked out with an extreme precision. The mechanisms are no longer the prisoners of wooden cases. 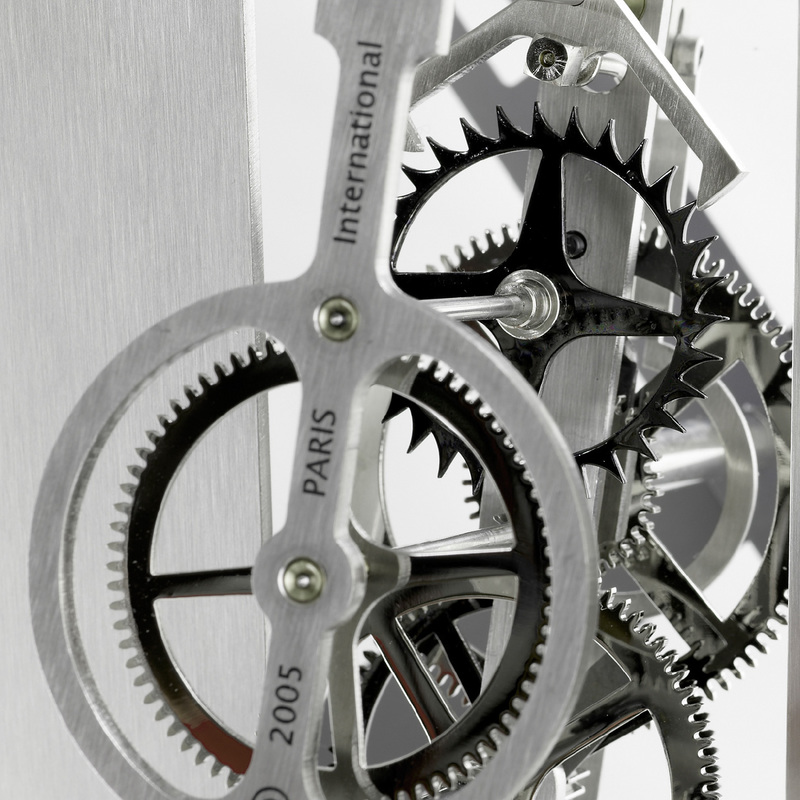 The gear trains are deliberatively exhibited as an integral part of the clock’s appearance. 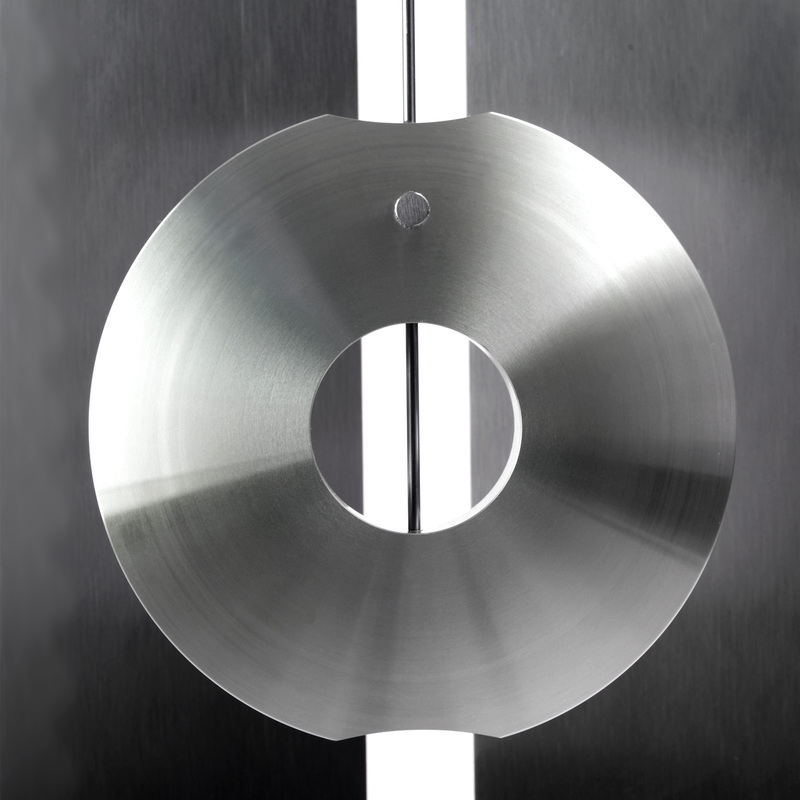 The movement is suspended on an axis so that gravity keeps it in perfect vertical alignment. 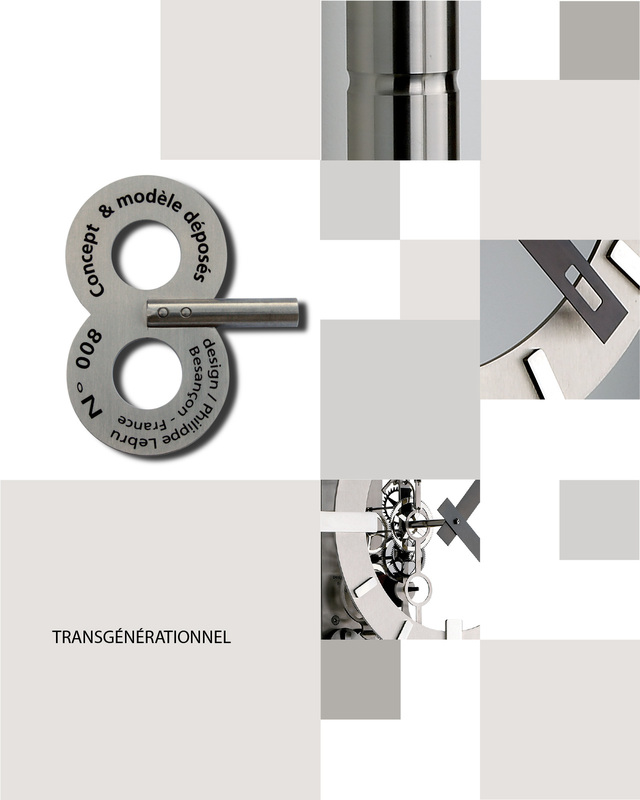 The concept is patented: it guarantees that the mechanism functions perfectly. No more tedious adjustment to balance the movement’s position in relation to the ground. 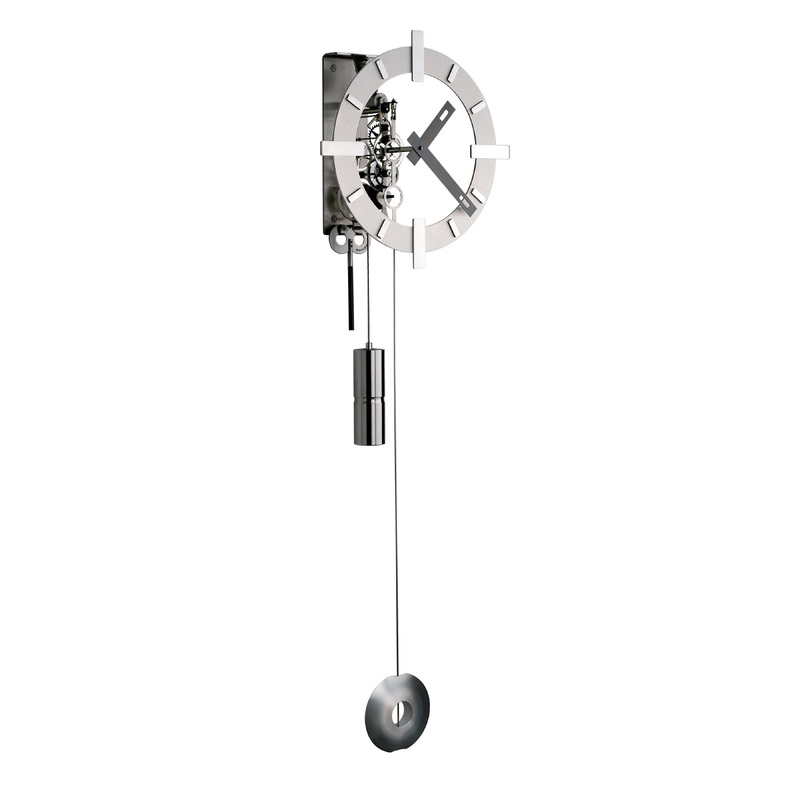 The energy stored in the mechanism is slowly released by the majestic, hypnotising back-and-forth swing of the pendulum. For eight days, each “tick” is followed by a “tock”. A heart beats within the house.